The iTutor Podcast is normally a Dutch Macintosh Video Tutorial podcast, but the topic for this month’s show was suggested by a fellow Noscilla Castaway during the live recording of the Noscillacast podcast (hosted at podfeet.com). Creating Keywords in Aperture is fairly easy. You can start by opening up the Keyword Hub using the Menu Window – Show Keywords Hud or by pressing Shift H. This should bring up the Keywords Hud in which you can add, remove and organize your keywords. The keyword hud also allows you to nest keywords within each-other, and thus creating a keyword hierarchy. This will prove to become very useful later when you have to find back your images and when you want to tag your images using keywords. As you might or might not know, you can easily add keywords while importing images. I did not find how to enter the keywords so they go directly in the right spot in the hierarchy, but that is no problem at all, since we can move the keywords later on. In the second chapter of this tutorial you will see how you can add keywords upon import of your images into Aperture. This chapter will teach you how to add keywords to images once they have been imported into the Aperture library. This is where I will show you how you can drag and drop keywords from the keyword hud onto a selection of images. You can also set up Keyword Controls and use buttons at the bottom of the screen to add keywords to your images. You can show the Keyword Controls by choosing Window – show Keyword controls from the menu or using the keyboard shortcut Shift and D. This chapter will take you through the proces of setting up and creating a set of Keyword Buttons for your own keywords. The Keyword Controls are an easy way to quickly add specific keywords to individual images. Personally I have been using it to add keywords / tags to the pictures I shot for the people of my family in the pictures. I know you could use Faces for that, but it’s a habit … and i have been doing it since Aperture 1 … long before we had things like faces and places. Now that we have tagged our pictures using keywords in our hierarchy, I can demonstrate the true power of the keyword hierarchy. For example lets say I have a keyword hierarchy which looks like this : People -> Family -> Lesage -> Jens. I could simply add the keyword Jens to my images, and Aperture will implicitly add the keywords above Jens (in my hierarchy) to my images. Thus … each image to which I added the Jens keyword now implicitly also has the Lesage, Family and People keywords. This comes in very handy since I can use that in Smart Albums. Simply create a Smart Album and set it up so it shows all images with the keyword Family and you will suddendly see all images appear which have a keyword deeper in the hierarchy under Family. It is a bit hard to explain in text, but you’ll surely see what I mean when you have a look at the tutorial. Personally i’ve been using Flickr to share my pictures with friends and family. 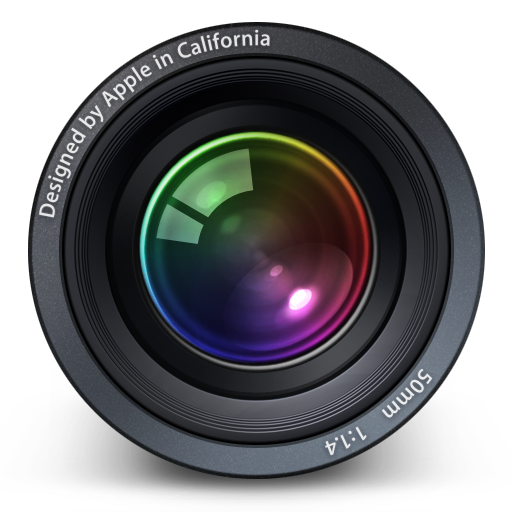 Years ago I purchased the FlickrExport plugin for Aperture by Connected Flow. This plugin allows me to upload my images to Flickr and include the full Keyword Hierarchy if needed. Well… I hope this Tutorial showed you to power of the Keyword Hierarchy in Aperture. Hopefully you can incorporate it into your workflow and the task of adding keywords and using keywords has become a lot easier. If you have any tips or suggestions, feel free to contact me via eMail or leave a comment on this post. Thank you so much for this tutorial. It was fantastic! It did not talk down to me, it did not assume I know things I don’t. It was just perfect! I am taking a scrapbooking class on line at bigpictureclasses.com. I will post a link to this podcast for my classmates. And I loved hearing your accent. Please do more in English! Glad you liked it. I might do some more English ones if I can find the time for it … but at the moment I’m quite busy with a few other things. Thank you for such an informative and helpful tutorial on keywords. l would love to see more tutorials on aperture. Thanks for the great description of the Keyword Hierarchy features for Aperture. It was specially interesting how the application implicitly knows the hierarchy structure within the keyword library. It’s nice to see your flicker add-in will add the entire hierarchy structure when you push your photos up to the site. But how do you suggest pushing the hierarchy structure into the photo without exporting. We use our photos in other applications that look at the xmp panels and it would be nice to have the entire structure? I have actually no idea … I think it really depends on the Export Plugin. Some plugins have that feature … others don’t. Amazing tutorial! Thank you very much! Hopefully there will be more in English? Well … I actually wish I had more time to record new material, but if there are any areas / topics on which you would like to see tutorials … feel free to let me know.